Chinese-American pianist Xun Pan received his early musical training from his grandmother and pianists-parents, Pan Yiming and Ying Shizhen. He continued his studies at the Central Conservatory of Music in Beijing, Syracuse University in New York, and earned the Doctor of Musical Arts degree from Rutgers University in New Jersey. Mr. Pan has won many international piano competitions and awards, beginning with first prize in the 1986 China National Piano Competition in Beijing, and the “Dr. Luis Sigall” International Piano Competition in Chile in 1987, the International Festival Piano Competition in Korea in 1990, the Frinna Awerbuch International Piano Competition in New York in 1992, and the Artists International Competition in New York in 1993. A student of Theodore Lettvin, Mr. Pan has performed solo recitals worldwide from Carnegie Weill Hall to the Beijing National Center for Performing Arts. He has performed in Moscow, Santiago, Singapore, Beijing, Shanghai, Pyong-Yang, London, Los Angeles, Frankfurt, Taipei, Budapest, New York, Vina Del Mar, Lisbon, Toronto, Boston, and many other cities in the world. 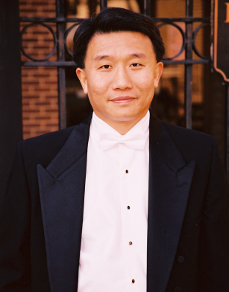 A noted chamber musician, Dr. Pan is the pianist of the Newstead Trio and Trio Clavino, two of the most distinguished piano trios in North America. Their work has been broadcast live on radio and television, and they have released several highly acclaimed recordings. Mr. Pan is an Adjunct Professor at Millersville University and a visiting professor at China Conservatory of Music, China Northwest University for Nationalities, Fuzhou University, Yantai University, Shandong University, Qinghai Normal University, and at Wenzhou University. Dr. Houlahan is a professor of Music Theory and Solfege. Prior to this position, he was a professorial lecturer at Georgetown University, Washington D.C., where he taught music theory, 20th century music and medieval music. He was awarded an Irish Arts Council Scholarship for graduate studies in Hungary and a Fulbright Scholarship for doctoral studies. Dr. Houlahan holds a Ph.D. in Music Theory with a minor in Kódály Studies, a Kodály Diploma from the Franz Liszt Academy of Music/Zoltan Kodály Pedagogical Institute of Music in Hungary and the Kodály Center of America, and Fellowships in Piano Performance from Trinity College and London College of Music. He lectures extensively in Europe on music theory and Kodaly Studies. Dr. Houlahan and Dr. Tacka’s latest publication is Kódály Today: A Cognitive Approach to Music Education is published by Oxford University Press (2008) and From Sound to Symbol, Fundamentals of Music published by Oxford University Press (2011). Their books include Sound Thinking: Music for Sight- Singing and Ear Training (Volumes I & II), and Sound Thinking: Developing Musical Literacy (Volumes I & II). Zoltan Kodály: A Guide to Research (Garland Publishing Inc., London, New York) is their current comprehensive reference work. Dr. Tacka and Dr. Houlahan are authors of the Kodaly article, bibliography and catalogue of compositions in Millennium Edition of the New Grove Dictionary of Music & Musicians. Dr. Phillip Tacka is a professor of music education. He joined the faculty in January 2002. 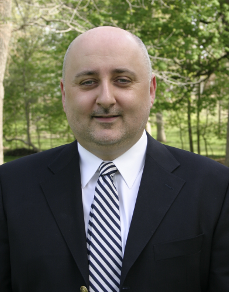 Dr. Tacka holds a a Doctor of Musical Arts degree from The Catholic University of America, Washington, D.C. in Music Education and Kodály Studies, a Diploma from both the Franz Liszt Academy, Budapest/Zoltan Kodály Pedagogical Institute in Hungary, and the Kodály Center of America. Prior to this position he was an associate professor of music in the Department of Art, Music & Theatre at Georgetown University, Washington, D.C. He regularly presents papers both nationally and internationally on aspects of music theory, music history, and Kodály studies. For the past five years, Dr. Tacka has served as a grant evaluator on the American Fellowship Panel for the American. John Carbon studied composition at Rice University and at the University of California at Santa Barbara where his teachers were Thea Musgrave, Paul Cooper, and Peter Racine Fricker. Carbon’s music–which has been gaining prominence in the past few years due to an increasing number of high-profile performances and recordings–includes three operas, Marie Laveau and Benjamin, along with many choral, orchestral, vocal, and chamber works. Carbon has a special flair for the virtuosity and drama needed for concertos, and has completed works in this genre for clarinet, violin, piano, and most recently, double bass. Mr. Carbon’s work has been performed in New York at Merkin Concert Hall, Carnegie Hall and Avery Fisher and Alice Tully Halls at Lincoln Center, Boston’s Symphony Hall, and Prague’s Smetana Hall. Premieres of Carbon works have been presented by the New York Chamber Symphony, the Czech Radio Orchestra, and the Alaria Chamber Ensemble of New York. Dr. John Couch began his musical education at the Royal Conservatory of Music in Toronto, Ontario where, at age 17, he became one of their youngest graduates. After finishing his undergraduate education at the University of Toronto School of Music, he completed his Master of Music in Piano Performance at the Indiana University School of Music in Bloomington, Indiana and his Doctorate of Musical Arts in Piano Performance at the Catholic University of America in Washington, D.C. He is Emeritus Professor of Music at Bloomsburg University in Bloomsburg, Pennsylvania. Dr. Couch is well known throughout the Pennsylvania State University system for his piano master classes and coaching techniques. His extensive performing experience includes solo, chamber and orchestral appearances in Eastern Canada, Virginia, Pennsylvania and Washington, D.C. as well as recording projects, which have aired on the Public Broadcasting System. As a lecturer, Dr. Couch has presented numerous pedagogical and performance- related articles in addition to university classroom instruction in Music History, Music Theory and Performance Practice. Simon Maurer grew up in Switzerland in a family of six children, all of whom became professional musicians. He studied music at the Conservatory in Biel, and continued his violin studies in the U.S. with Geoffrey Michaels at Swarthmore College and Joyce Robbins at the State University of New York at Stony Brook. Mr. Maurer is an accomplished musician performing chamber music, solo and orchestra concerts throughout the eastern United States and Switzerland. He is currently Concertmaster of the Schuylkill Symphony Orchestra, Assistant Concertmaster of the Pennsylvania Sinfonia, and performs with Valley Vivaldi, Satori. He has performed as feature soloist in France and Switzerland with the St. Jean Orchestra of Geneva Switzerland, receiving rave reviews. A founding member of Gabriel Chamber Ensemble, he has performed with the ensemble throughout North Eastern and Central Pennsylvania for 19 years and is artistic director at their concert series at Jerusalem Lutheran Church in Schuylkill Haven. Committed to performance and education, the group takes pride in bringing classical music to underserved areas, and makes efforts to have music outreach in the schools. Mr. Maurer also ventures in the practice of jazz and free style improvisation. He has been a featured soloist in Philadelphia area jazz clubs and has performed at “Jazzfest” in Schuylkill County. He has recorded numerous projects with folk singers and rock groups: Maggie Pierce and EJ; Zen fro Primates, and others. Canadian cellist Sara Male received an Associate of the Arts in Music degree from the Victoria Conservatory where she was presented the Principal Emeritus Prize. Her major teachers include Bernard Greenhouse, Zara Nelsova and Timothy Eddy. Ms. Male holds a Bachelor of Music with high honors from Rutgers University, and a Master of Music from the Mannes College of Music. Ms. Male is a former member of the Saskatoon Symphony and is well sought after as a chamber music recitalist, having performed in major venues in the US, Canada, Europe and Asia. Ms. Male joined the faculty of the Pennsylvania Academy of Music as cello instructor and director of the Chamber Music Program in 1994 and is an adjunct assistant professor at Franklin and Marshall College. Ms. Male is the cellist in the Newstead Trio.